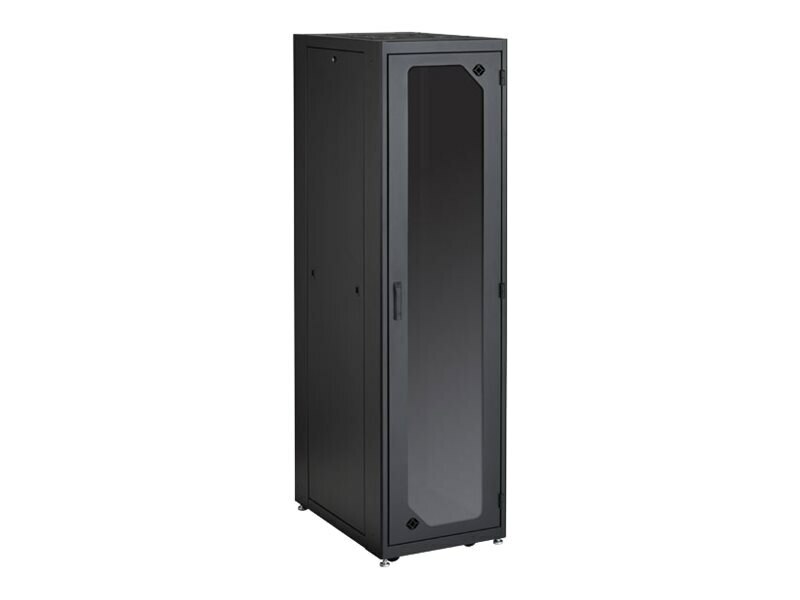 Elite Cabinets are top-of-the-line data and server cabinets designed to serve your data center for a lifetime. This cabinet line offers more features and options than any other Black Box cabinet. These cabinets feature heavy-duty, solid-steel construction. Two pair of M6 or 10-32 rails are marked with rack units and can be adjusted front to rear. Doors have three hinges with a 180° swing for easy access and are easily reversible. Mesh doors feature high-flow mesh for maximum air circulation. Elite Cabinets have ample room for cable management and feature extensive cable knockouts on the top, sides, and bottom for easy cable entry. Plenty of cable lacing points are built into the frame. A built-in universal PDU mounting bracket keeps power management out of the way.